Black women know that no matter what style you choose, having quality hair can make a world of difference.Doing the right things for your hair will protect it from damage and keep it healthy and vibrant even under stress. Eat right: Eat a proper diet for healthy hair that includes the right vitamins, minerals, and proteins for hair growth and strength. Drinking plenty of water as well will help keep your hair moisturized from within. Get regular trims: Even the healthiest hair can develop dry, split ends, and regular trims and cuts will keep your style sleek. You should schedule a trim every 6-8 weeks, though you may need more frequent maintenance for a very short style. Use better products: While most inexpensive shampoos will effectively clean your hair, they generally use synthetic, harsh chemicals to do so. Choose higher quality hair products and use natural hair products whenever possible. If your budget can't afford salon products daily,alternate using them with cheaper alternatives. Use conditioner: The sun, wind, temperatures, humidity, pollution, and other climate factors can quickly dry your hair, making it dull and lifeless. Use a good conditioner regularly to restore sheen and keep your hair soft and supple. 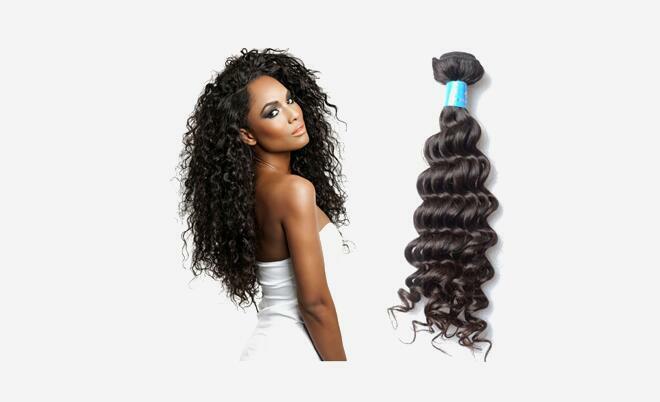 Well conditioned hair will also have more movement and vibrancy, showing off your style. Get a flattering style: The best thing you can do to keep your hair looking its best is to enjoy it. If you have a flattering hairstyle and you are pleased with how it looks, you will be more likely to do what is necessary to keep your hair healthy and beautiful. Daily washes: Unless your hair is extremely oily, you most likely do not need to wash it daily. Too much washing will strip the natural oils from your hair, causing it to dry out more quickly. Instead, wash your hair every other day, or at least skip washing on days when you don't have any need for a perfect style. Knowing what not to do to your hair is just as important as knowing what you should be doing. Overprocessed, stressed hair will be limp,dull, and damaged, and if you can avoid these things you will be able to enjoy your hair even more. Hair care is like eating people, need to take some nutrition.